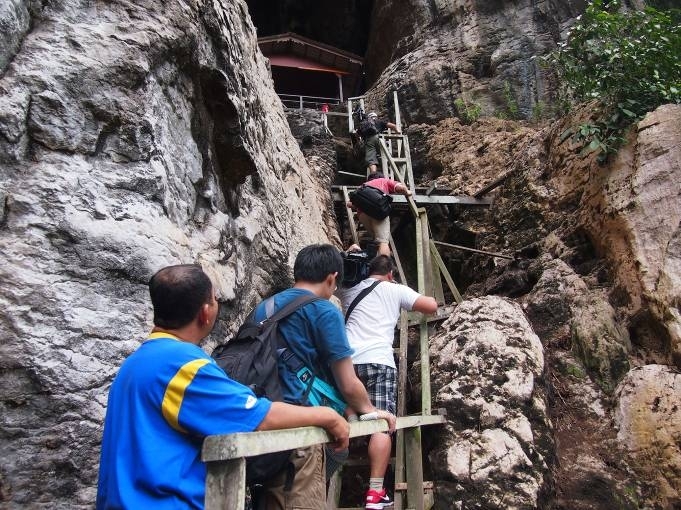 The Niah National Park's caves is important for the local communities, with edible bird's nest and guano collection providing valuable employment and income. Archaeologically, it was a major centre of human settlement as early as 40,000 years ago, and features one of the world’s largest cave entrances. Palaeolithic and Neolithic burial sites, and iron-age cave paintings. Recently, a Gala TV Taiwan crew with their well-known host, Lin Chia Pei visited 'Gua Perintah' a swiftlet breeding cave located within the Niah Cave system. The trip was part of Sarawak Tourism Board's visiting journalist programme (VJP). 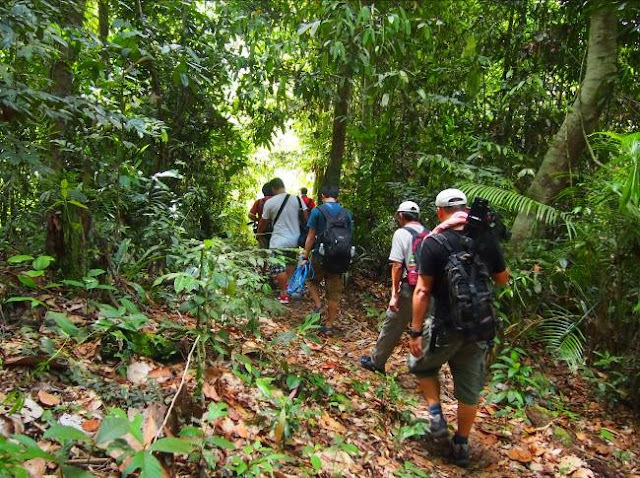 The trekking leads to 'gua perintah' (takes about 20 mins – 30 mins) passes through beautiful primary rainforest before moving into at the foot of the hill. The step is steep but once you reach the top, it will be worth the effort for it offers a sweeping panorama of the rainforest canopy. 'Gua Perintah' is a project managed by the Sarawak Forestry Corporation to showcase, create awareness and enhance knowledge on the importance of sustainable swiftlet conservation n Sarawak. Edible bird's nest collecting is a skilled and dangerous work, done high up at the ceilings of the caves which abound in Niah National Park. The intrepid collector shins barefooted up bamboo scaffolding, often without harnesses, tapping his way up to make sure the bamboo is sound. He lights his way in the black caves with a torch light and uses a special bamboo tool to harvest the nests. The nests themselves are tiny translucent cups about the size of a small egg. 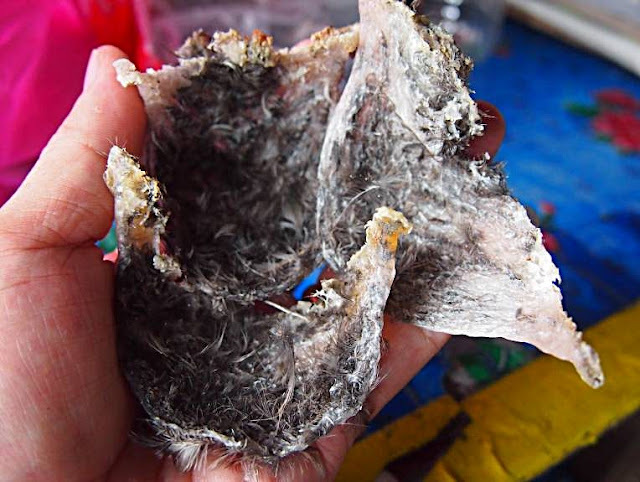 They are made by the male swiftlet from glutinous threads of its own saliva, which it weaves into a cup that dries to become thin and translucent like fine porcelain. Recent research has indeed shown that the nests, which taste rather like noodles, contain a water-soluble glycoprotein that may promote cell division in the immune system. 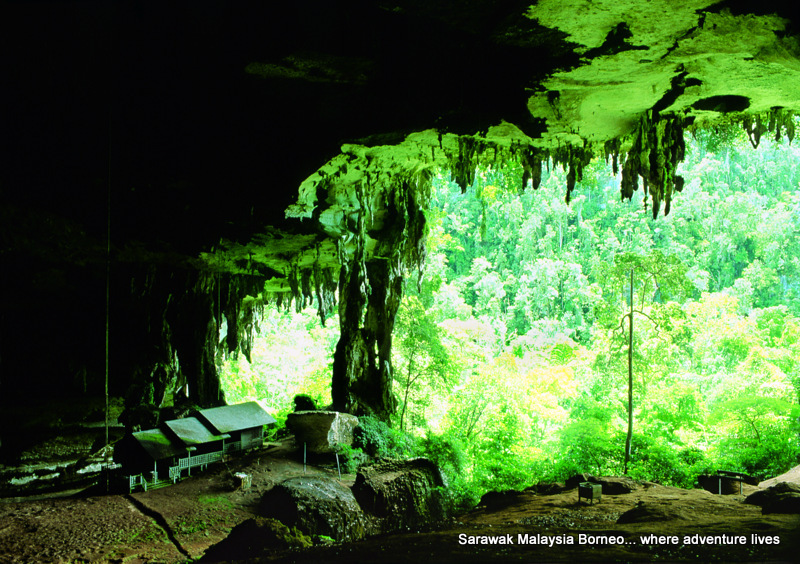 At the park one can also visit the Niah National Park museum where the replica of the oldest human skull in South East Asia (40,000 years old), found in the Great Cave, can be seen.